Now, it's great that Apple prides itself on the high-level security in its iThings — but this might be a step too far. 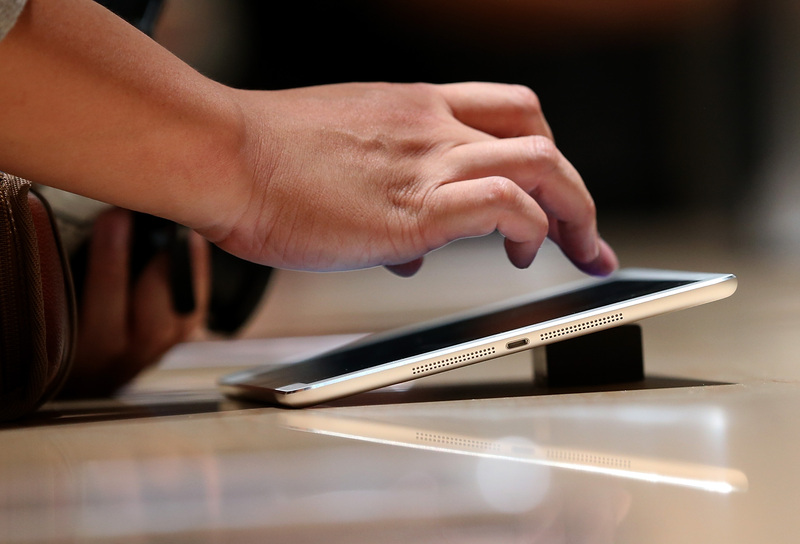 Two English sons were left their mother's iPad in her will, but can't access it, thanks to Apple's hyper-restrictive security settings. Unless the brothers provide a court order, Apple won't help them out... even though Apple has been provided with copies of the will; a death certificate; and a letter from their solicitor. Josh Grant took to his blog, "Mustn't Grumble," to tell the brothers' story. Their mother, Anthea, bought the iPad two years ago when she was first diagnosed with cancer. She used the device to play games and video chat with her sons. After Anthea died in January, Josh and Patrick were named co-executors of her will. Anthea's estate was to be divided between Josh, Patrick and their three brothers. The sons worked out the details, and decided eldest brother Patrick should take the iPad. After several back-and-forth emails with Apple, in which Patrick explained the situation, he was no closer to getting access to his mother's iPad. Apparently, he needed to get written consent from their mother for Apple to unlock the device. As Josh explained on his blog, a fight with Apple was the absolute last thing the brothers wanted to be dealing with, on top of the grief of losing their mother. I have always been a fan of Apple but this incident has changed my opinion of them completely. Their utter lack of understanding and discretion in a time of great personal sadness has been astonishing. For a company that sells itself on the idea we are all part of one big Apple family, they have been very cold. In absence of written consent, Apple's demanding a court order to prove that Anthea was the owner of the iPad and the iTunes account. This would need to be done through the Grants' solicitor, who, according to the brothers, charges £200 an hour. Understandably, the Grants decided the battle wasn't worth it, so have given up for now. The BBC ran a radio interview with Josh, in which Apple commented that it was an industry leader in protecting its customers against security breaches, and that Activation Lock gave customers control of their device and acted as a theft deterrent. "At 59, my mum was fairly young, I've already lost my dad, and it's a bit cold of them not to treat things on a case-by-case basis," Josh told BBC Radio 4's You & Yours. On his blog, Josh explains that the issue comes down to a feature of iOS7 called "Activation Lock," which is designed to prevent unauthorized access to an Apple user's iCloud account. Activation Lock requires you input Apple ID and password to sign out of iCloud, turn off Find my iPhone, or erase the device. Following his mother's death, Josh attempted to perform a Device Firmware Upgrade on the iPad, which would essentially wipe it and restore it to factory settings. Once this had been done, and Patrick was halfway through setting the iPad up again, he was faced with a request for his mother's Apple ID and password. Obviously, he wasn't able to put those in.